The Commercial Appeal soldiers on. Though greatly diminished, the Gannett-owned daily newspaper has hired a clutch of new reporters to replace all the institutional memory and talent lost to digital startup, The Daily Memphian. But non-local layout and non-existent copy editing persists. So, there's no shortage of bizarre typos. 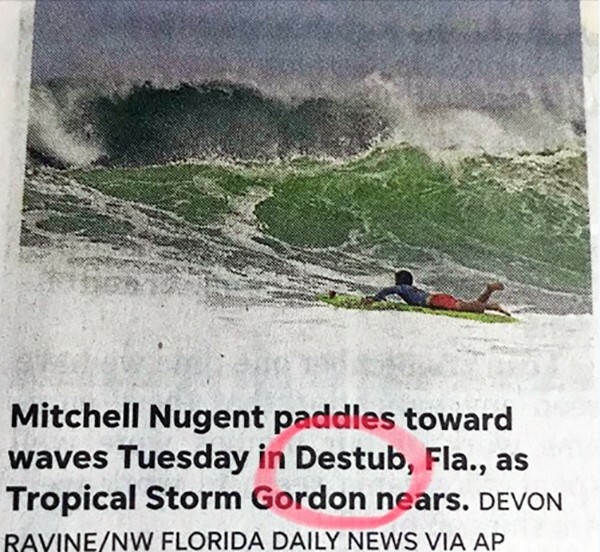 A report on Tropical Storm Gordon shared news out of Destub, Florida, which is kinda like Destin, but shorter. 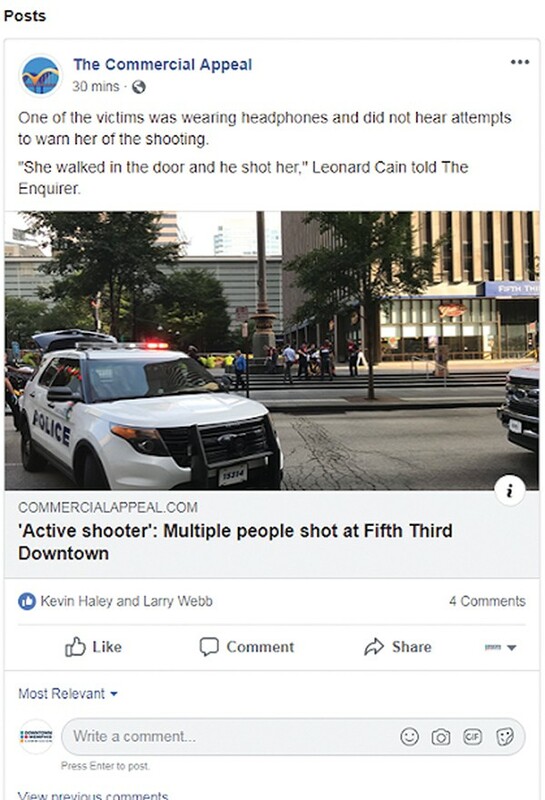 Finally, as all the local department stores break out their Halloween displays, here's a terrifying social media share about an "active shooter" who shot multiple people "Downtown." Careful readers will recognize The Enquirer and recognize that this drama's unfolding in Cincinnati. But that's a lot to ask of a headline-responsive internet culture, and nobody wants to be the little paper that cried "active shooter!"